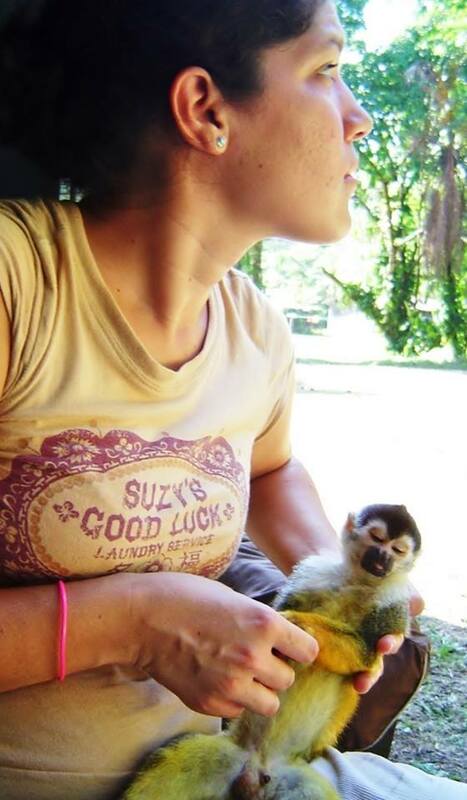 DANTA is delighted to announce that Daniela Solano will lecture in our winter session 2015 Methods in Primate Behavior and Conservation field course in the spectacular Osa Peninsula, Costa Rica. Course dates are January 1 -15, 2015. Daniela is the founder and President of Saimiri Foundation, a NGO with the aim to protect Costa Rica´s biodiversity, especially Osa Peninsula´s primates. She is a biologist with a Masters in Wildlife Management and Conservation. She arrived in the Osa Peninsula in 2004-2005 to study the landscape habitat of squirrel monkeys (Saimiri oerstedii), and since has fallen in love with the rainforest paradise and remained working for its conservation. Just prior, she worked for The Nature Conservancy in their former Osa Program. Currently, she is an Empowering Sustainability Fellow at the University of California, Irvine. Her area of interest is primate conservation, especially their status outside of protected areas, where they are threatened by habitat destruction and human activity.